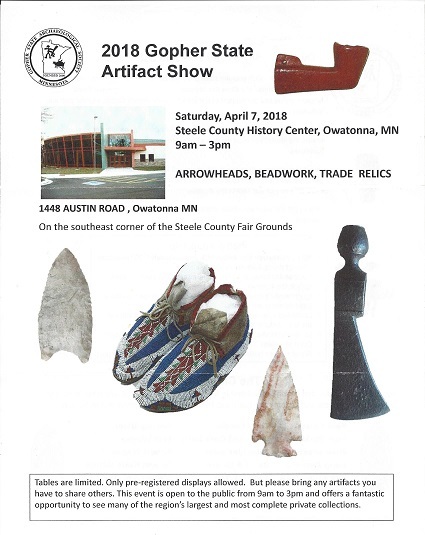 The 2018 Gopher State Artifact show will be held Saturday, April 7 at the Steele County History Center in Owatonna, Minnesota. The History Center is located at 1448 Austin Road, on the southeast corner of the Steele County Fair Grounds. The event is open to the public and offers an opportunity to see the region’s private artifact collections.